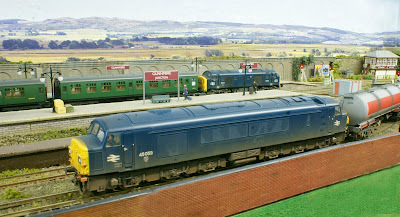 With the layout fairly moribund during December and January we thought that it was high-time to start running some trains again and, for me, to post some photos on the blog. 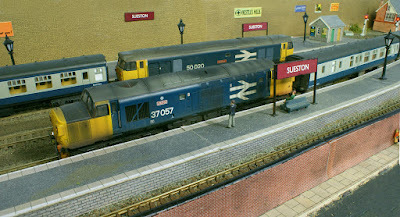 So, with this in mind, here are some pictures taken during a recent running session, featuring trains at Gunnmere Junction, Sueston and the Ballast Yard. 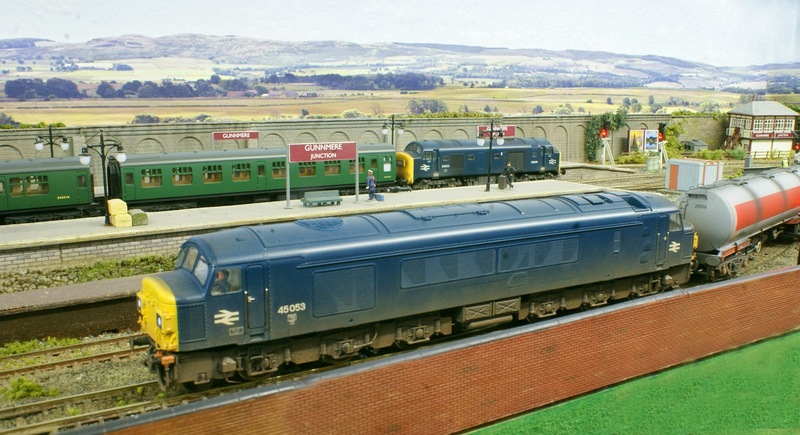 First we see a Class 45 at the head of some oil tankers at Gunnmere while, in the background, is a Baby Deltic with a rake of green liveried coaches. 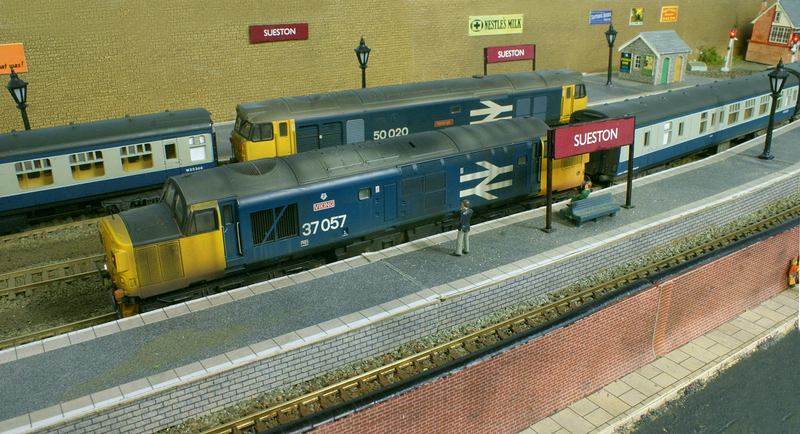 Next we see 50020 Revenge waiting to depart Sueston, while 37057 'Viking' arrives with a train from the north. 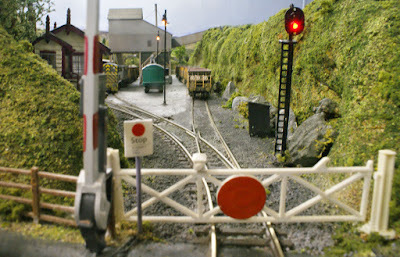 Now for a few photos taken at the Ballast Yard and we begin by peeking over the closed crossing gate at the entrance to the yard. The signal is at red so, obviously, no trains are due to arrive. Moving inside the yard we see a Class 03 shunting some currently empty seacow hopper wagons. 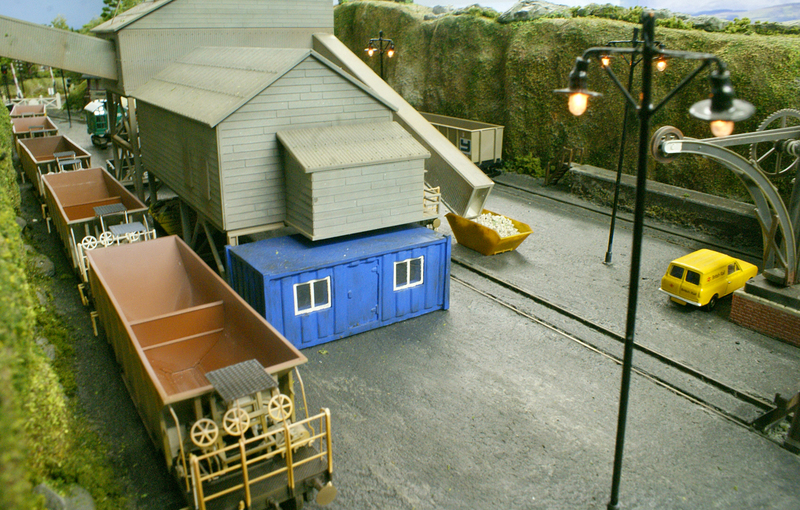 Finally, a couple of photos looking from the other end of the yard and we can see that one of the seacows is already full of ballast. Judging by the amount of hoppers here there is some serious ballasting work due to be carried out! The ballast yard is almost complete now, in terms of trackwork and buildings, but it does still need to be populated with workers and final detailing. 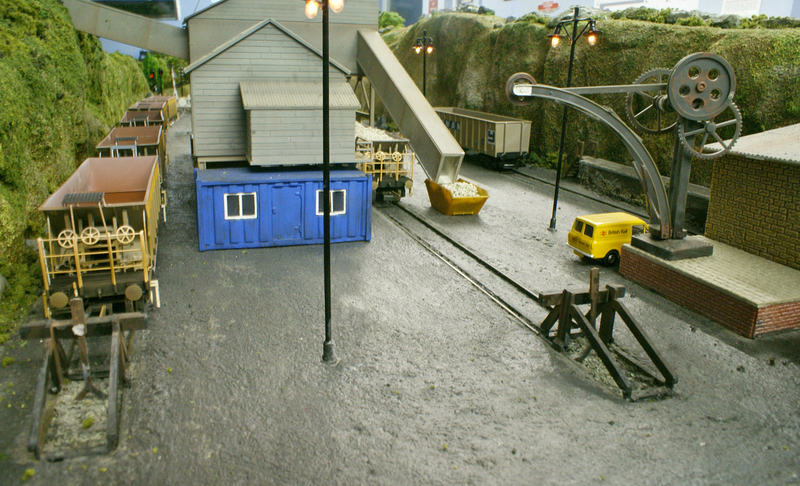 For those of you interested, the buildings here are the 'Mine Top Buildings' by Nightwing International, Catalogue Nº: PM 113 while the blue portakabin 'office' is by Hornby. 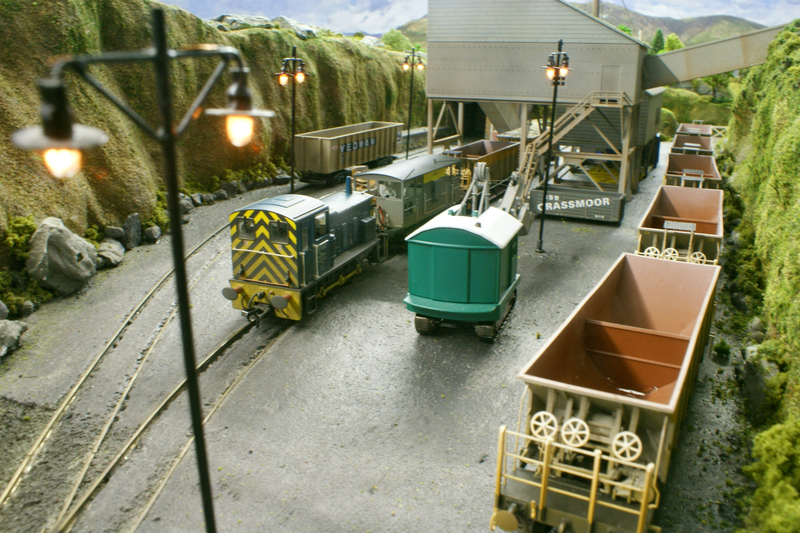 The Seacow hopper wagons are also by Hornby while the large Yeoman Ore Tippler, in the background, is by Lima.